With Sky Entertainment £22pm, 18-month minimum term, £27pm thereafter. All Sky Q kit loaned to you by Sky. One-off costs apply to view on each additional TV. 18 month minimum term. Sky Q experience subscription: £13 extra pm. Sky Q experience subscription required to: 1) Watch TV around the home on tablets or TVs. The ability to watch on an additional TV screen comes at a cost of £99 per additional TV (Additional TV Viewing Fee). We'll lend you one Sky Q Mini per extra TV, at no cost. For new Sky TV customers: Additional TV Viewing Fee discounted to £20 for your first additional TV then payable in full for subsequent TVs. For existing Sky TV customers without Sky+ Multiscreen: Additional TV Viewing Fee discounted to £50 for your first TV then payable in full for subsequent TVs. For existing Sky Q customers: £75 Engineer set-up fee also applies. Additional TV Viewing Fee discounted to £20 for your first additional TV and £69 for subsequent TVs. For optimal network performance we recommended connecting no more than four Sky Q Mini boxes. Content from up to two Sky Q Mini boxes can be watched concurrently. 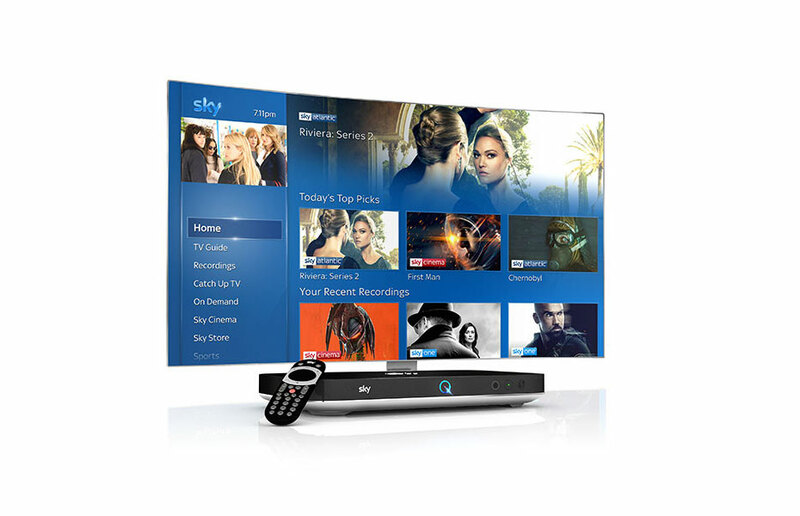 In home: watch recordings included in your Sky Q channel pack and most free to air channels. See sky.com/skyqchannels for more information. Red Button and BBC on demand content unavailable via Sky Q App; 2) Pause on one screen and continue on another; 3) Take recordings with you to watch offline. Save selected recordings from last 90 days from the main Sky Q box or download on demand programmes to compatible tablet connected to home broadband to watch offline. Finished recordings may be unavailable to sync for up to a few hours. Two syncs/downloads per programme. Content deleted from device 48 hours after viewing starts or no later than 30 days after sync/download. ; 4) Watch Ultra HD content (only available to customers with a Sky Q 2TB box). Ultra HD not available on Sky Q Mini boxes or Sky Q 1TB box. 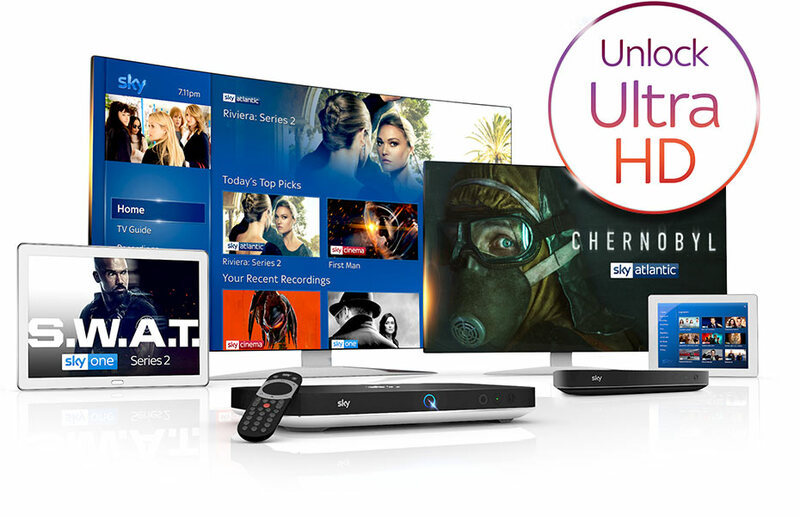 Box Sets pack and HD subscription required to watch box sets in Ultra HD. Sky Sports and Sky Cinema required to watch sports and movies in Ultra HD. Widest range of Ultra HD Content: Comparison against online and Pay TV UK subscription services based on Ultra-HD content. See sky.com/shop/tv/sky-q/uhd-shows for more information. What is Sky Q experience? Watch Sky TV in another room with Sky Q Mini boxes - no messy cables, no fuss. Pause what you're watching and pick up where you left off on another TV or tablet. Save your recordings to the Sky Q app and watch whenever you want. Unlock the widest range of entertainment in up to four times the detail on a 2TB box. 1. What is Sky Q experience? 2. Can I have Sky Q installed in my home without any drilling? 3. Why do I need Sky Q 2TB and Sky Q experience to watch in Ultra HD? ● Sky Q experience comes with Ultra HD benefits, as well as being able to watch TV in more than one room. 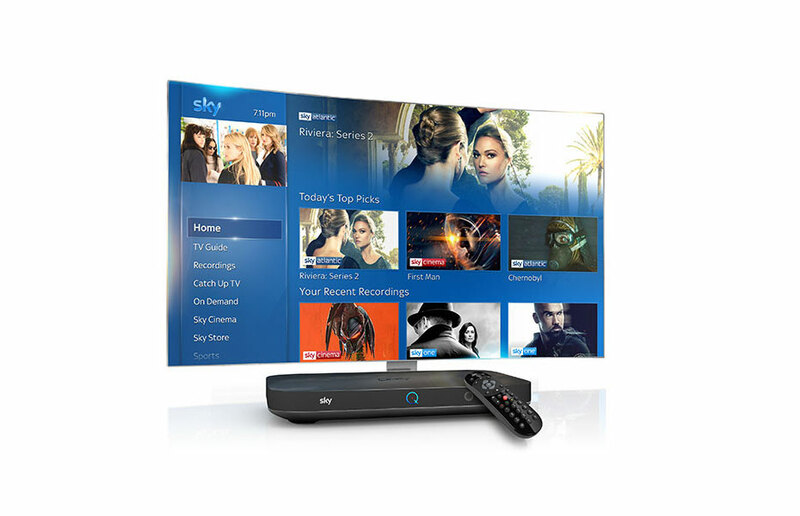 Our Sky Q 2TB box has the storage capacity needed for viewing and recording Ultra HD content. 4. I already have a Sky box, will I still need an engineer visit? 5. What content is available in Ultra HD? 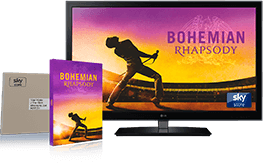 ● With Sky Entertainment, Sky Q experience and a Sky Q 2TB box: Documentaries from Nat Geo and Discovery, including David Attenborough epics, live music events, plus Catch Up drama and comedy shows.